It is not a “true” UV/L/IR, in the sense that the GPCAM2 has a color sensor, so even with its UV/IR filter removed it can only record the very near-UV spectrum (realistically only down to around 380nm or so), so for a bit more of UV you need both a newtonian reflector with no barlows/reducers etc, and an unfiltered mono sensor that is a bit UV-sensitive (a Sony/Kodak usually is, an Aptina is not). 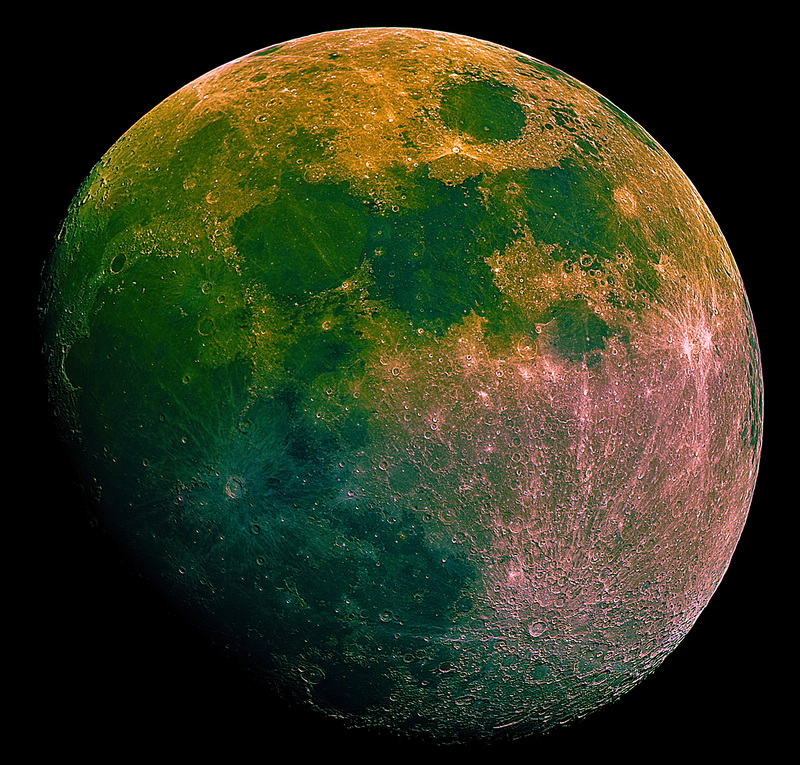 It is worth giving a quick description of the two main techniques involved in producing images like the above: Lunar mosaics, and RGB/Channel compositing. 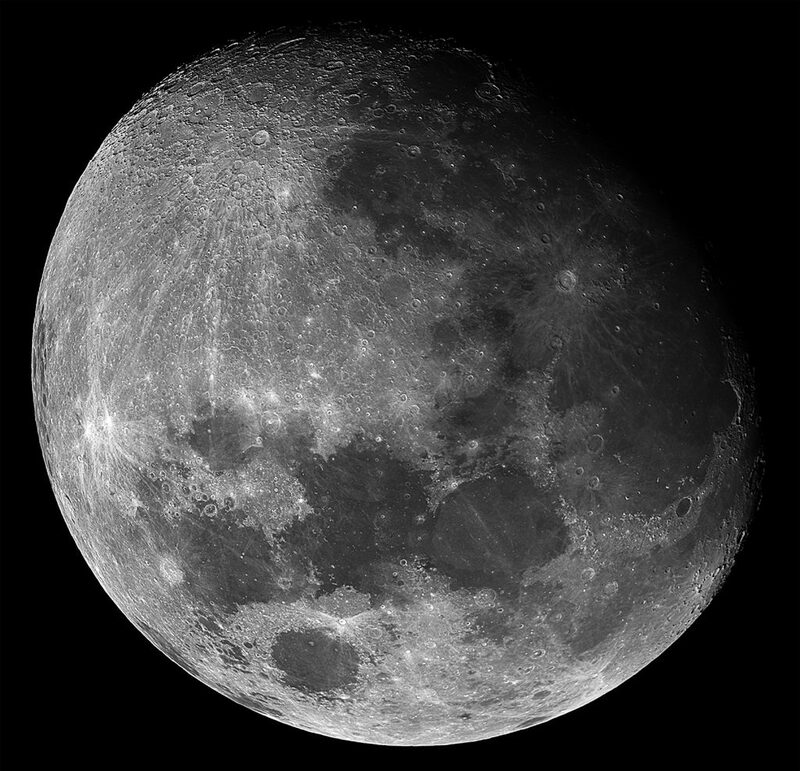 The idea behind doing a Lunar mosaic is that you get to use a small planetary camera and apply the same stacking & processing techniques you would follow when imaging a planet, in order to get very sharp and highly-detailed images of the Lunar surface, something you can’t really do with regular DSLR full-moon shots. Theoretically you could take something like 1000 frames with your DSLR, stack them, and get a similar result but you would run into a couple of issues: planetary stacking programs like Autostakkert and Registax don’t play well with DSLR images, and 1000 clicks is about 1/100th of the life of your DSLR shutter. Take a video (SER or AVI) of each part of the surface moon, making sure that you have a significant (say, 20% or so) overlap between adjacent frames (you will need that when merging) and also that you keep the exact same settings (exposure, gain) for all partial videos. In order to do the latter, decide on the best exposure/gain at the start by aiming at the brightest parts of the moon to make sure you are not clipping them in the histogram. I went with 1000 frames/shot in my case, but you can vary that depending on your setup, the conditions etc. So you hit Stack and in the above example you will get 3 images, one using the best 10% of the frames, the second 20%, the third 30%. In this session I used 10-20% depending on the image, using fewer can increase sharpness but also noise. For merging the partial images into a mosaic there are many programs, you can even do it manually in photoshop, but most people tend to use iMerge. 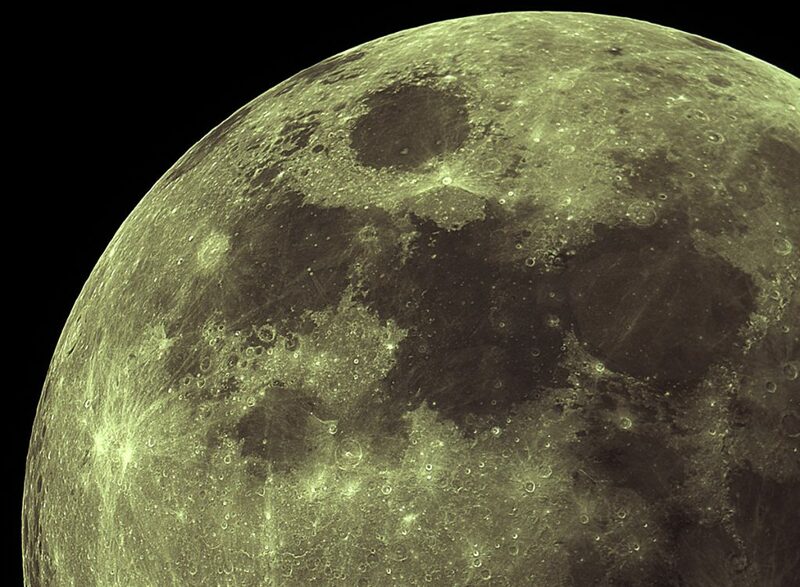 It is quite simple, you open your images in a large canvas drag two of them so that their overlapping parts roughly match and right click on a detail (which is almost anywhere on the crater-filled moon). You can choose to go either with color (FITS won’t work for that), or monochrome (I go monochrome at this point with the moon). It is a good idea to enable “feathering” so that the edges of the images blend better together. The only real drawback of the software is that it only accepts FITS, BMP and AVI and I always end up with a TIFF instead from the previous step, so a conversion (e.g. Photoshop for BMP, PixInsight for FITS etc) is required in my case. … and go to Edit->Auto-Align layers. Photoshop will rotate and move the top two to match the bottom one. Make sure it did a good job. If you had doubled the resolution, you can resize to the original size at this point if you prefer. Click on the RGB channel (or the layer) and you can see the final composition. You can apply curves on the separate channels to adjust the blending, and do any other post processing you wish.